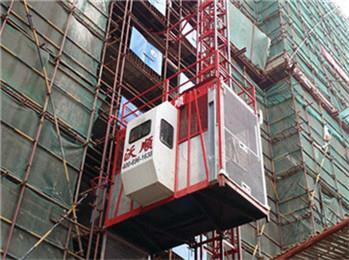 passenger hoist： 1.Optimized cage make it lighter and save energy. 2.More space and batter lighting in the cage. 3.Perforated steel plate or aluminum plate make the cage antirust. 4.Starting and braking smoothly. 5.The running status of building hoist can be tracked from the monitor panel. 4. Simple electrical control system, easy operation and convenient maintenance withlow failure rate. The product absorbs advanced technology at home and abroad, with novel design, simple operation, convenient disassembly and assembly. Its safety design and configuration are fully in line with national standards. It is mainly used for the construction and cargo transportation of high-rise buildings such as bridges, chimneys and buildings. 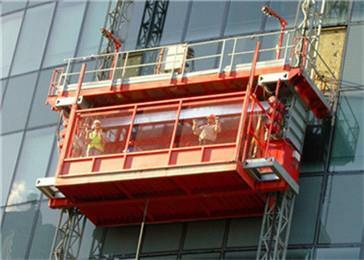 It can also be used in warehouses, docks and other places where vertical transportation is required.